Broadcast quality audio and video cables stringently made by reputable brands. Products cut to the length you need to get the job done. Browse all that we have to offer which includes HD-SDI coax, Analog Audio single-pair and multi-pair, Digital Audio single-pair and multi-pair, Network Category cables, Control cables, DMX lighting control, Hybrid Fiber Camera cables, Tactical and install fiber optics, triax camera cables, and more! Click here to view our vendors. If you are interested in learning more about our products and have a specific request, please reach out to us. We would love to hear from you! 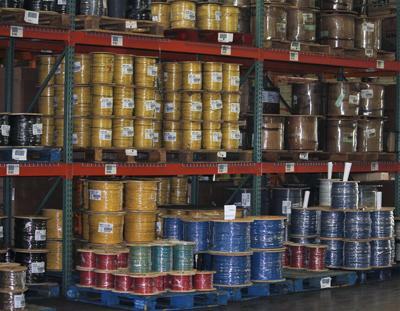 Visit our catalog to view our trusted and quality bulk cable vendors.